Laura Marano Is Featured In Disney Channel’s New ‘Bad Hair Day’ Promo – Watch It Here! Bad Hair Day is set to premiere in February 2015. In the meantime, be sure to check out the promo for the movie by watching the video below! 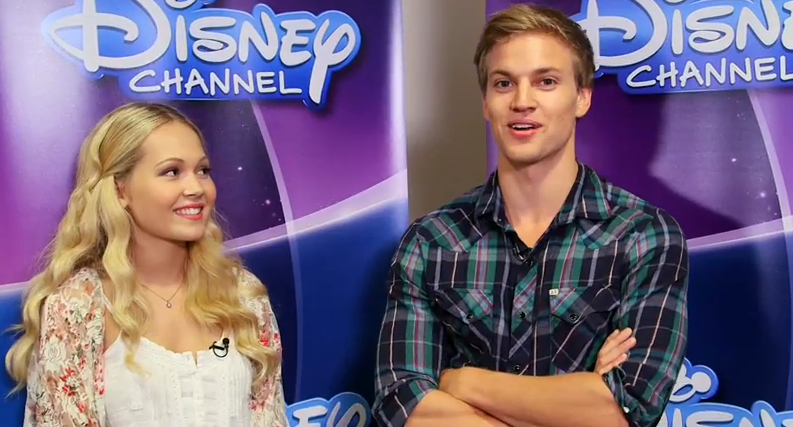 Kelli Berglund & Marshall Williams’ Fave ‘How To Build A Better Boy’ Scenes — Watch! We all have our favorite scenes from movies and shows. But what about your favorite Disney stars? Kelli Berglund and Marshall Williams tells you what their favorite scenes from the Disney Channel Original Movie, How To Build A Better Boy. You can check out in the video below and after the premiere, let us know what your favorite scene is! 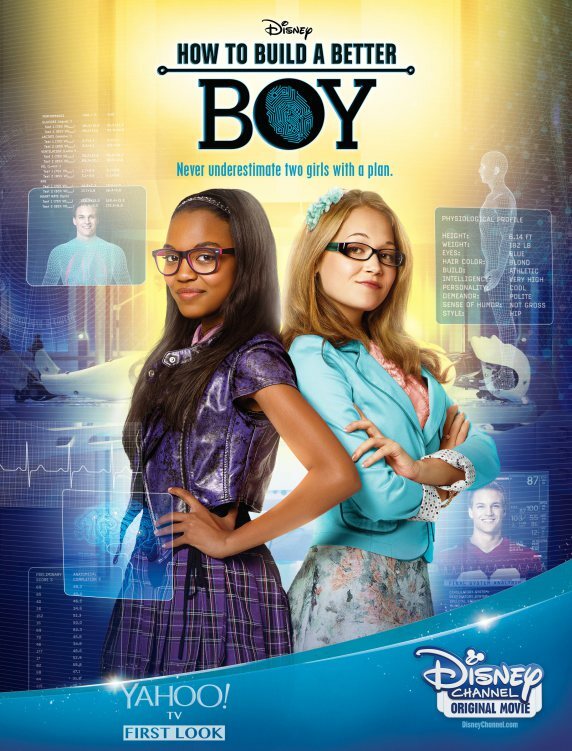 Remember to tune into Disney Channel tonight at 8 p.m. for the premiere of How To Build A Better Boy! And join China McClain, Marshall Williams and Kelli Berglund during their Twitter takeover on Radio Disney and Disney Channel during the movie by using #AskHTBBB to ask questions! China McClain And Kelli Berglund Release “Something Real” – Listen Here! Disney Channel stars from the upcoming Disney Channel Original Movie How To Build A Better Boy, China Anne McClain and Kelli Berglund, have not only teamed up to work together in the new movie but the two have also teamed up for a new song called “Something Real” which is a track that will be featured in How To Build A Better Boy. The movie won’t arrive until August 15, 2014 but the ladies made sure to make their new track available beforehand on iTunes! Be sure to listen to China and Kelli’s new track by listening to it in the video below and let us know what you think by commenting! Get Zapped This Week! !–Preview Pics + Vids!! ZAPPED – “Zapped” follows Zoey Stevens (Zendaya), a high school straight-A student and advanced level dancer whose life is up-ended when her mother remarries and she finds herself part of a family comprised of rambunctious, chaotic and most of all, messy boys — and a male dog, Humphrey, to boot. She finds salvation in the unlikeliest of places when a dog-training app downloaded to her smartphone somehow can also magically control boys. The Disney Channel Original Movie “Zapped” premieres Friday, June 27 (8:00 p.m., ET/PT) on Disney Channel. Also be sure to check out our site for even more great behind the scenes and sneak peeks of Zapped!! All New Behind The Scenes Of Disney’s ‘Zapped’ With Zendaya – Watch Now! There are only four more days left until the premiere of Disney Channel’s new original movie Zapped starring Spencer Boldman and Zendaya Coleman. Zendaya has been super busy promoting her new movie with countless interviews and Disney Channel has even been kind enough to share some behind the scenes videos of the cast working on set of the movie. In the latest video, we get to see some scenes from the movie that just get you laughing and Zendaya shares what kind of app she dreams of creating herself. Check out the new behind the scenes video by watching it below and let us know what you think of it by commenting! Be sure to tune to Disney Channel on Friday, June 27, 2014 at 8 PM to catch the premiere!